I described exactly two years ago posting NOAA's global shoreline dataset on my AWS stack - added recently to personal portfolio for easy access - I discussed here earlier, why post global vector datasets, when web services provided such varieties of backdrops? At issue is that vector data are so large at global scales, that NOAA above and Natural Earth post them as various scales, where details are trade-off against scale. I wrote in 2004, however: "accuracy and speed no longer need to be trade-offs against one another according to available computer performance". And in 1992: "worldwide databases are available and the right database engine will show interactive coastline features down to 30m. resolution". ... Was I ever pleased then to see Esri's announcement that esri_vector provide in beta the vector Dark and Light Canvas backdrops on ArcGIS Online! I updated below the details of the Aaland Islands' famously complex coast and islands in the mouth of the Baltic Sea. The map itself can be found here. 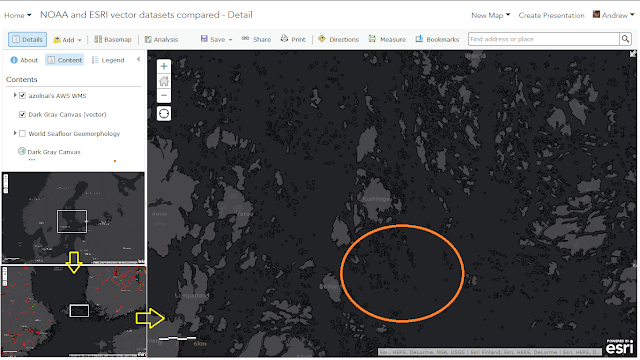 It's zoomed in quite a bit to show the level of details - circled in orange, Dark Grey Canvas vector islands still are missing, showing the difficulty still to create global vectors maps - while completeness lacked in this extreme case, ease of use is its most compelling aspect. 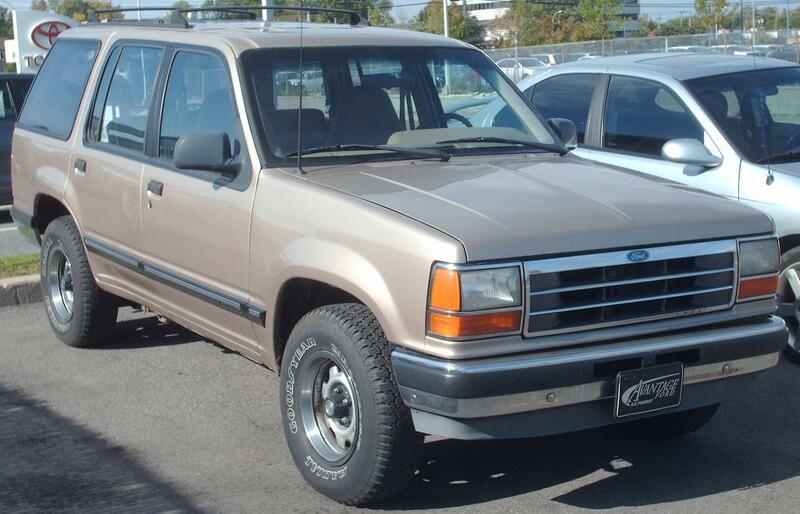 While 4x4 family wagons have existed since the mid-1960s such as the Chevrolet Suburban, Ford Bronco and Jeep Wagoneer, it's not until the Ford Explorer's immense success in the early 1990s that the SUV market was legitimised! Likewise will vector datasets not be legitimsed by their seamless ease-of-use in web apps via arcgis.com? "'91-'94 Ford Explorer" by Bull-Doser - Own work. Licensed under Public Domain via Commons.